During CES 2018, announces its partnership with Future Film Festival and the launch of the first Italian event dedicated to Virtual Reality and Augmented Reality, ARVR Summit, that will be held in Bologna, Italy, where Future Film Festival itself is held every year since 1999. ARVR Summit is the new and only event in Italy completely dedicated to Augmented Reality and Virtual Reality and focused to meet specific demands of brands, agencies and professionals. 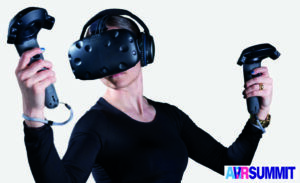 ARVR Summit aims to link the most innovative experiences in the Gaming, Automotive, Cinema, Healthcare, Retail, Travel, Cultural Heritage, Sport industries. ARVR Summit is targeted to industry professionals, brands, agencies and system integrators. Through numerous talks tracks, an expo area and countless networking and meeting opportunities, ARVR18 will be the most efficient way to learn about, and connect with the leading minds and companies in AR & VR. The Future Film Festival will begin on May the 29th. The ARVR summit will be held in Bologna on October the 11th.